Russian authorities have put on hold a secret contract with Iran. The contract, which is believed to have been signed in 2005, planned to arm the Islamic Republic with the famous S-300 air-defence missile systems. The latest move comes ahead of talks between the Russian and American presidents set for April 2009. The S-300 (SA-10A Grumble By NATO classification) is a series of Russian long range surface-to-air missile systems developed to intercept aircraft, ballistic and cruise missiles. The S-300 system was first deployed by the USSR in 1979, designed for the air defense of large industrial and administrative facilities, military bases, and control of airspace against enemy strike aircraft. The S-300 is regarded as one of the most potent anti-aircraft missile systems currently fielded. Its radars have the ability to simultaneously track up to 100 targets while engaging up to 12. S-300 deployment time is five minutes. The S-300 missiles are sealed rounds and require no maintenance over their lifetime. 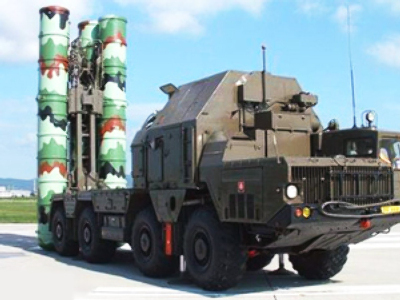 An evolved version of the S-300 system is the S-400 (NATO reporting name SA-21), entering service in 2004. Iran’s defence minister Mostafa Mohammad Hajjar, a veteran of the Revolutionary Guards of Iran, arrived in Moscow on Monday for talks on the supply of Russian arms to Iran, particularly the S-300 systems. However, as reported in Kommersant daily, Moscow will not deliver the missile systems for some time,at least not before the first meeting of Russian president Dmitry Medvedev and American counterpart Barack Obama, a historic event widely expected to melt the ice in Russia-US relations and restart a dialogue between the two sides. Iran does not follow resolutions of the UN Security Council concerning its nuclear programme and that fact alone is enough to put Russia in an awkward position if it delivers S-300s to Iran now. So far, Moscow and Tehran have fulfilled only one contract in air defence dating back to 2005 when Russia sold Iran 29 Thor-M1 middle-range missile air-defence systems for US$700 million. 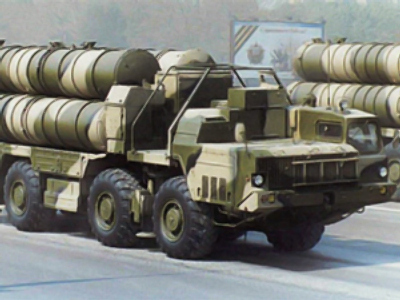 Since then, Tehran has showed intense interest in S-300 systems and even signed a secret contract for delivery of 5 divisions of S-300s for US$800 million. 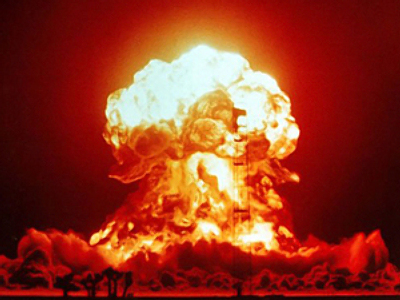 But despite the fact that the contract has been initialised and Iran expresses its readiness to pay, Moscow has delayed the supply for political reasons as the question of arming Iran with the newest defence systems greatly alarms America’s principle Middle East ally, Israel. It’s not just once that the Iranian authorities have jumped the gun and declared that S-300s have already been delivered and deployed, claims always refuted by Russia. The last such instance was on December 22, 2008. Iran desperately needs the S-300s to protect the almost completed Bushehr nuclear power plant, which is likely to be a high priority target in the event of military conflict with Israel. If S-300 systems are deployed near Bushehr, Israel will be unable to conduct air strikes without response as it did in 1981, when it destroyed a nuclear reactor in Iraq, as well as in 2007, when it took out a supposedly nuclear target in Syria. At the same time Russian experts doubt whether Israel would dare to conduct an air strike against Iranian nuclear targets. “Israel does not have a reason for such an assault since Iran does not have and, in the near future, will not have nuclear arms, and the US seems to be looking for a political resolution with Iran, Israel will not do the dirty on Obama’s administration,” says political analyst Aleksandr Pikayev from the Institute of World Economy and International Relations. “For Russia, Iran is a friendly state. Russia is in constant dialogue with Iran, advising it to comply with its international obligations. Clever people in Washington understand that Russia has vast interests in Iran because it is an ally and strategic friend and neighbour, so it is natural that Russia extends some commercial projects in Iran,” commented military expert Viktor Mizin from the Moscow Institute of International Affairs. It is true that five S-300 missile systems could secure the skies above Bushehr nuclear power plant, but it looks really doubtful that Moscow will put at risk the opportunity of improving the severely damaged relations with Washington. This means that this time the Iranian delegation may leave Moscow without any tangible results. However, the political situation is subject to change, which means that the fate of Iranian air defence literally depends on what Barack Obama has to propose to Dmitry Medvedev in April this year. “There is no doubt that the deadlock of Iran’s nuclear programme will be among the top priorities at these talks and that this question definitely needs re-examination from both the US and Iran to bring positive results,” says Pikaev. In turn, it is obvious that American leadership is planning to take a diplomatic pause till June when Iran will elect a new president and if it turns out to be someone less irreconcilable like Mahmoud Ahmadinejad, then the US will deal directly with the Iranian authorities.